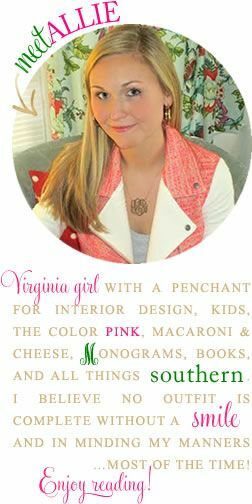 Alexandra Bee Blog: Peach Tea Monograms GIVEAWAY! They have the cutest Etsy shop! I love them! I have to admit that my favorite Easy item is the shirt that says "We beat Bama. #rolltears"
The pineapple stadium cups are also adorable! This is a great giveaway! Cute items! I love the chevron pineapple tumbler you have pictured! I love the pineapple tumbler! So adorable! I would love to give this to a friend! They have such a cute shop! I love everything monogrammed, but I think my favorite is the Patriotic Monogrammed Koozie! 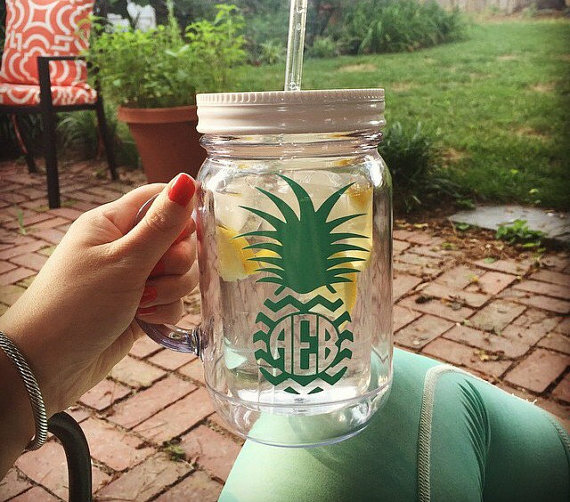 I love pineapples, monograms, and tumblers! This screams my name. I'll take anything with the pineapple monogram. 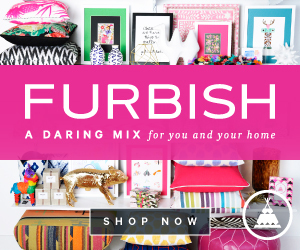 They make FABULOUS products- it's hard to pick just one! I love the idea of stadium cups that are personalized. Thanks for the brand introduction! Love the Disney mouse inspired monogram insulated jar! The pineapple monogram is really cute!